Moonlight Sonata | Zonyxa. Unique and contemporary jewellery for Work. Love. Play. 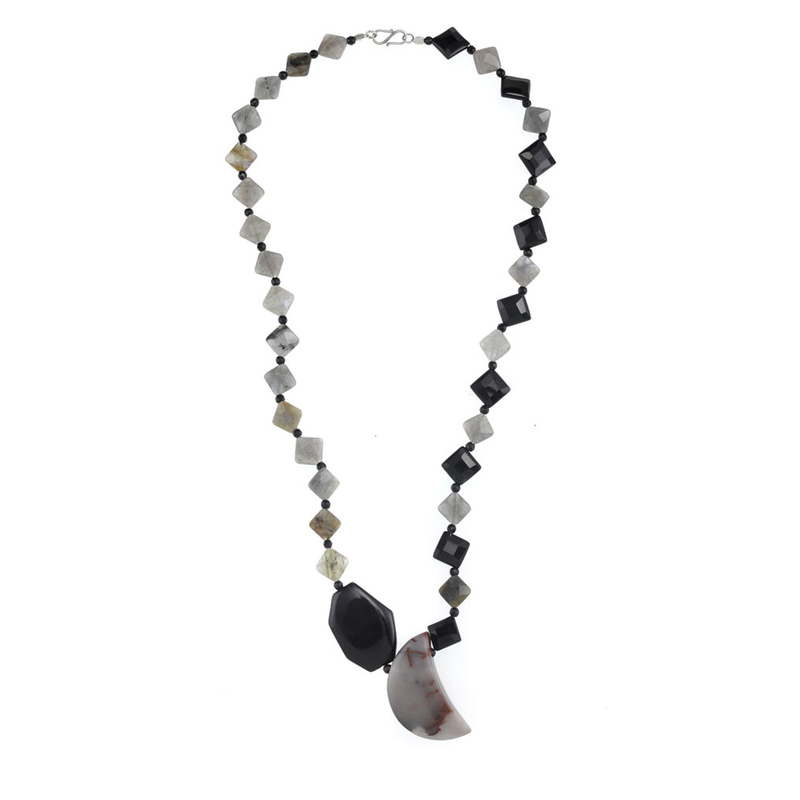 This long, shimmering necklace contrasts black onyx, agate and labradorite and features a tactile half-moon shaped agate as a pendant. Wear it to accentuate a simple bright or orange outfit or lift your mood no matter what you are wearing.